He's probably just trying to get more individuals to donate money to make it easier for the police to identify who is using the site. Alex Linder, a deadbeat father, actually lives off of his disability check in a HUD subsidized one bedroom apartment owned by Muslims in Kirksville, Missouri. What he pocketed from running VNN in collusion with the SPLC was simply unreported income. Donations to VNN have dropped steadily since Akins blew the lid off of Linder's Jewish background and Glen Miller - a WN using the name of a Jewish 1940s big band leader as an alias, went on a shooting spree on the campus of a Kansas Jewish community center killing a couple of visiting gentiles, but not injuring a single Jew.
. said: Alex Linder, a deadbeat father, actually lives off of his disability check in a HUD subsidized one bedroom apartment owned by Muslims in Kirksville, Missouri. What he pocketed from running VNN in collusion with the SPLC was simply unreported income. They must be weak if Akins, the retard excuse of an internet detective can wipe them out. 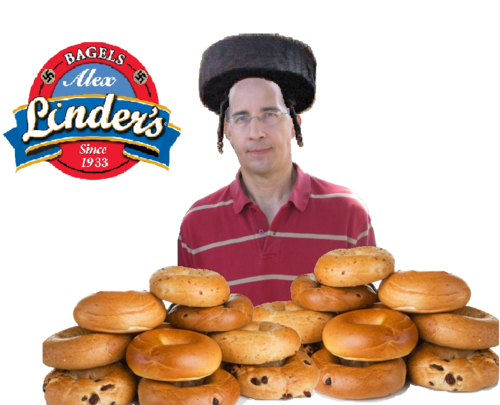 People have suspected Alex Linder of being a Jew based on his Semitic features for years. Akins did a good job of digging up a ton of incriminating supporting evidence of Linder's Jewishness. After begging for money for weeks, raging anti-Semite Alex Linder announced today that his Vanguard News Network will shut down at midnight after a failed fundraising campaign that asked his supporters to contribute $2,500 each quarter to keep the forum up and running. “I am begging. It’s humiliating as hell, but I am,” Linder said two weeks ago in a post claiming he could no longer pay the bills. Unfortunately, his hate career will continue over at alexlinder.com. he gets olg, arse, and spamsky mixed up. u_a really baffles him. ­that's understandable considering they are all bald, fat, losers. spamsky, arse, and olg are bald. u_a, unknown. ­arse (michael balcaen) was the one running the olg sockpuppet on the old f2. i suspect he's u_a as well. ­The OCD of the old OLG sockpuppet and that of U_A are identical. Tell us all you know about OCD, you uneducated midget. ­You demonstrate it in every post that you make. It costs $10k per year to host a website? ­Based on your predictable, repetitive, compulsive behavior pattern. You're obviously very mentally ill.
Hello Akins, we know it's you. You basically had a 40-hour-per-week full time job posting here. Did we expect you to be able to leave just like that? death2me said: It costs $10k per year to host a website? ­It does if you are depending on it for an income, apparently. Obvious to an uneducated midget. Go spam 3 pages of copy-pastas about Jews and tell others they're the crazy ones. I can't leave. I'm too OCD! Akins is dead on right on this one. Linder is obvious. He's pulling another Hal Turner who did the exact same thing, although Turner was only paying 99 dollars a month, he was claiming it cost him $2,000 a month to run his website.